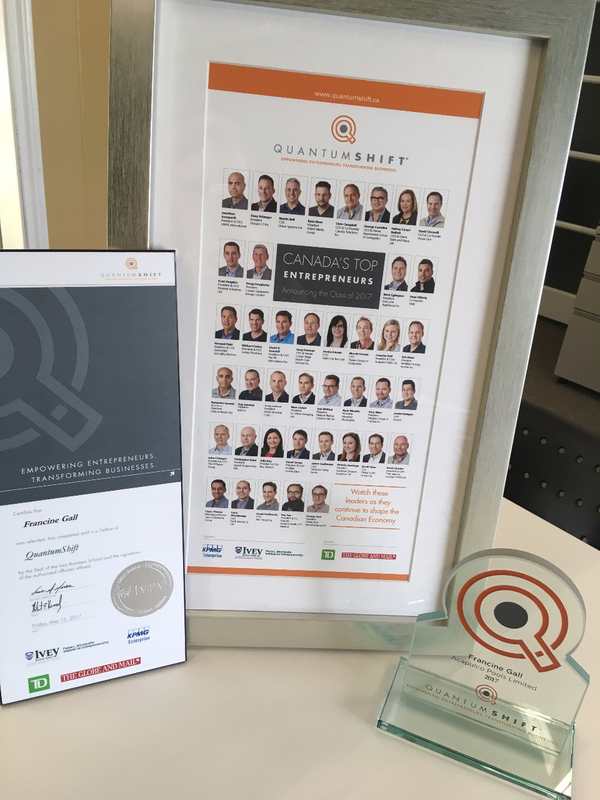 Acapulco Pools is pleased to announce that Francine Gall, chief operating officer, was recently named one of Canada’s Top Entrepreneurs in the 2017 Quantam Shift Program. As COO, Gall is responsible for both the strategic and day-to-day management of the organization. Gall attended the University of Western Ontario and completed an undergraduate degree in media information technology in 2009. After graduation, she launched her career at IMAX Corporation where she worked in both the Theatre Services and Global Brand Marketing Divisions. After attending a Tony Robbins seminar, she realized her entrepreneurial spirit could not be fulfilled in her current role. Shortly thereafter she joined the family business, Acapulco Pools, where she took over full ownership of the company. The team at Acapulco Pools is proud to have one of Canada’s Top Entrepreneurs leading them. "Francine represents a new generation of leadership at the company. Her confidence, openness and appreciation for creativity make it an exciting time to be a part of the family at Acapulco Pools," says Acapulco Marketing Coordinator Charlotte Swart.